Advocation for the girl child is gradually gaining grounds in the south south region of Nigeria and Endangered Daughters Initiative is proud to be part of this giant stride in the actualisation of United Nations Sustainable Goal 5 (Achieve gender equality and empower all women and girls). 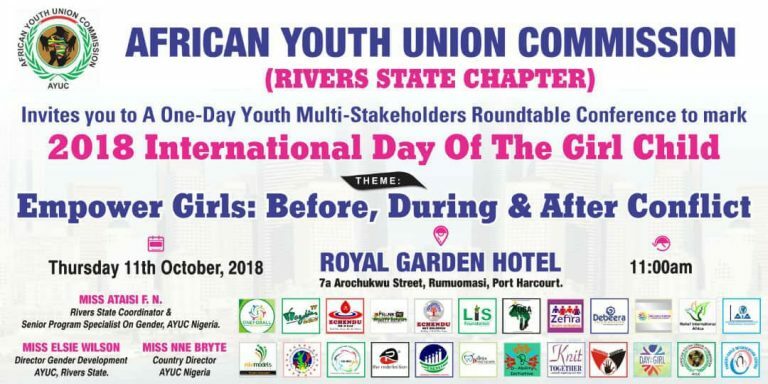 On the 11th October, 2018, African Youth Commission, Rivers State Chapter celebrated the 2018 International Day on Girl Child by organising a program titled “Empower Girls: Before, During and After Conflict. The program featured over 50 Civil Society Organisation (CSO) focused on the girl child. The president of Endangered Daughters Initiative Stella Osuagwu was present at this event and contributed immensely during the round table discussions. She shared what she and her team had achieved so far, what they hope to achieve and challenges limiting their success. 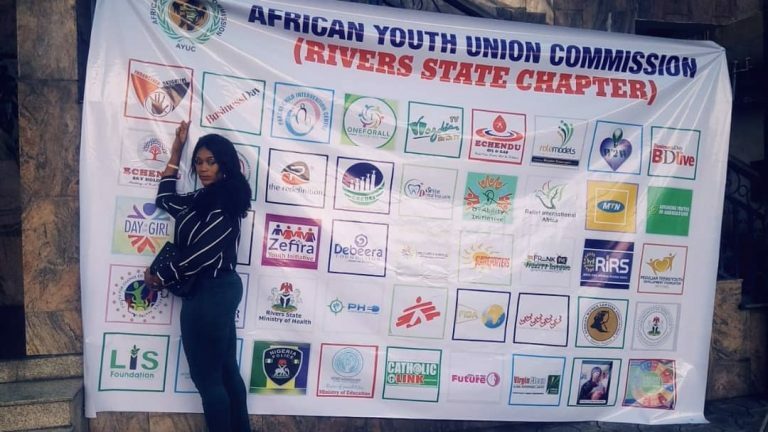 he event was a success, CSO’s involved in the advocation for the girl child were present to strategize on how to successfully achieve the UNSDG in the south south region of Nigeria and beyond. 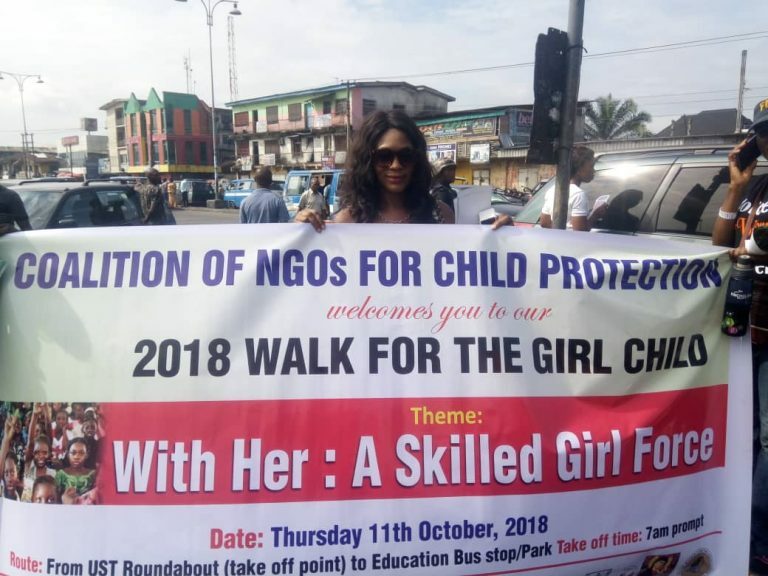 Similarly, Endangered Daughters Initiative took part in the 2018 walk for the girl organised by the coalition of NOG’s for child protection that took place on the 11th October, 2018 in Portharcourt, in celebration of the international day of the girl child 2018. An annual event of the united nations dedicated to the girl child. It is worthy of note that Endangered Daughters Initiative was borne out of the need to support the United Nation in the actualisation of Goal 5 of the United Nations Sustainable Development Goal. 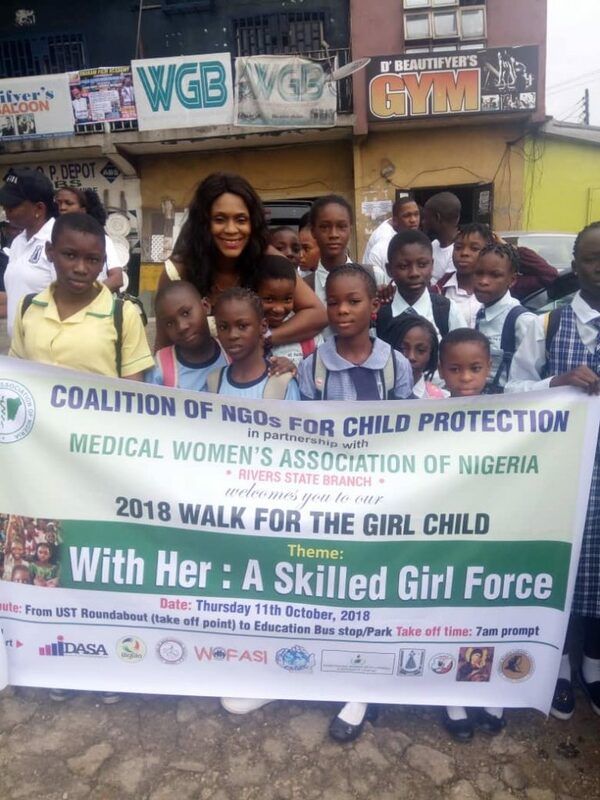 The walk created awareness around the environs of Portharcourt on the need to invest in the development of the girl child and raising a skilled girl force. Both activities stressed the need for CSO’s to converge regularly in a bid to strategizing on achieving our various organisational goal and the UN Goal. Endangered Daughters Initiative commends all CSO’s that took part in this event, with special shout out to the organisers. Together we can achieve a lot.